When I first heard about the Flip This Pattern series, I knew immediately I wanted to participate. 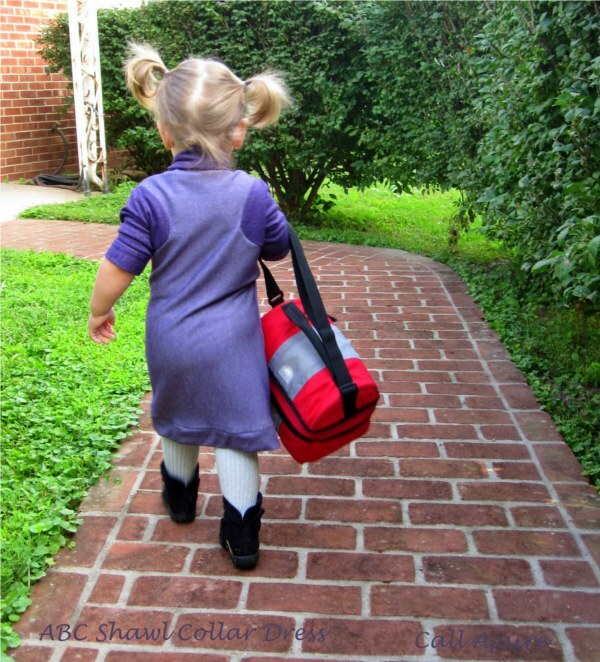 I loved the idea of the sew-alongs each month and the friendly competition was icing on the cake. Looking at the list of patterns that were lined up for each month I jumped at the chance for September. 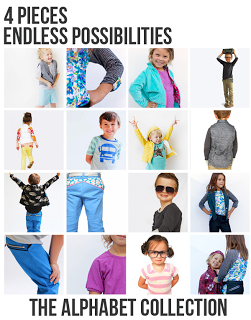 This month’s challenge allowed us to choose one of the Alphabet Collection patterns from Pattern Anthology. Before the patterns were even released I knew well enough that they’d be amazing and they didn’t disappoint. It was a tough decision, but finally the pattern I chose to flip is the BBC Vest by Shwin Designs. I love the racerback detail in the girl version and just couldn’t get it out of my head. 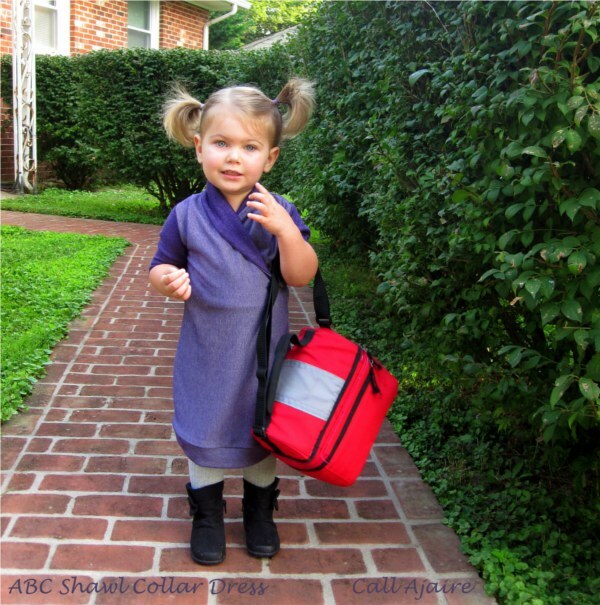 Even though my two year old daughter Bean doesn’t go to school yet, I thought it would be fun to go along with the alphabet theme and make an autumn back to school dress. 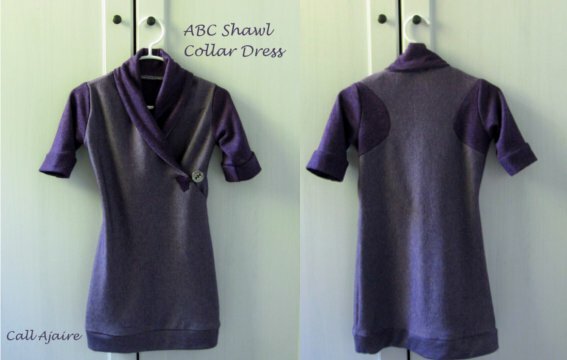 The BBC Vest “flipped” to the ABC Shawl Collar Dress. I added some width to the vest collar to give a little more warmth to the neckline and extended it to reach the side seam to look like a shawl collared sweater dress. 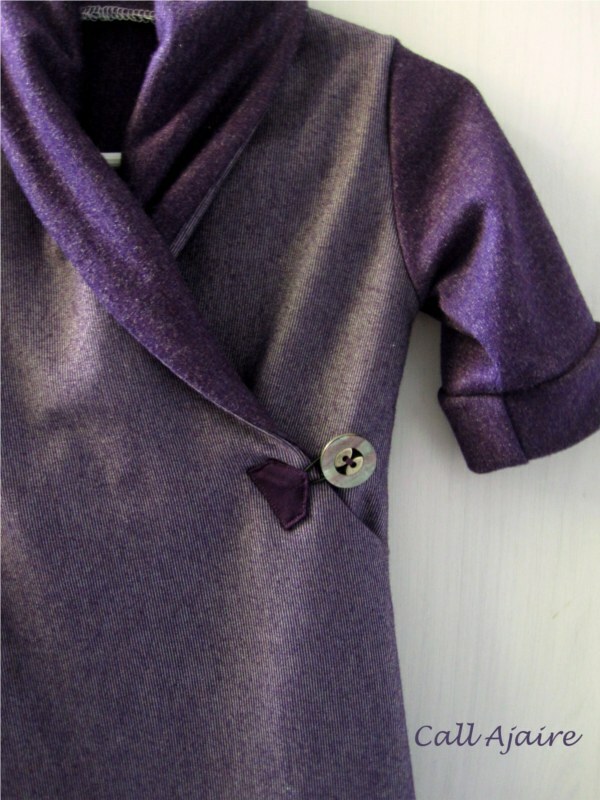 It is faux-wrap, but I made a cute little button loop and used an oversized button for a fun detail. 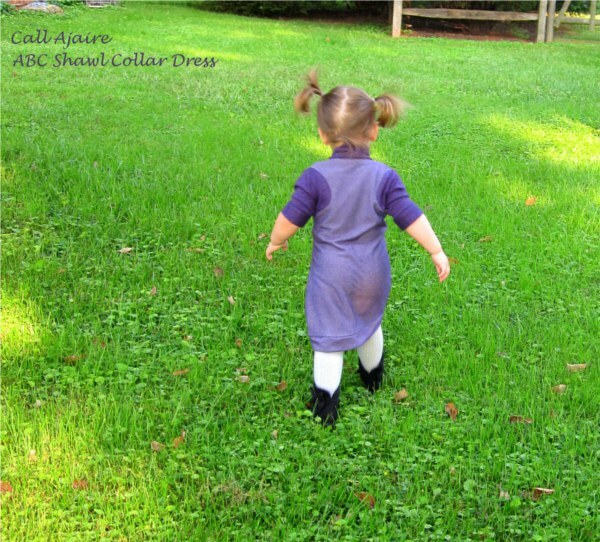 The basic shape of the bottom of the dress is from the Anywhere Dress by Go To Patterns. I added a band to the hemline to add to the sweater dress feel and to give Bean some room to grow this winter. The back is my favorite. I kept the racer back shape of the original vest, but it’s color blocked and pieced instead of cut out. I wanted the dress to be one piece so I attached the three quarter length sleeves from the Anywhere Dress pattern. 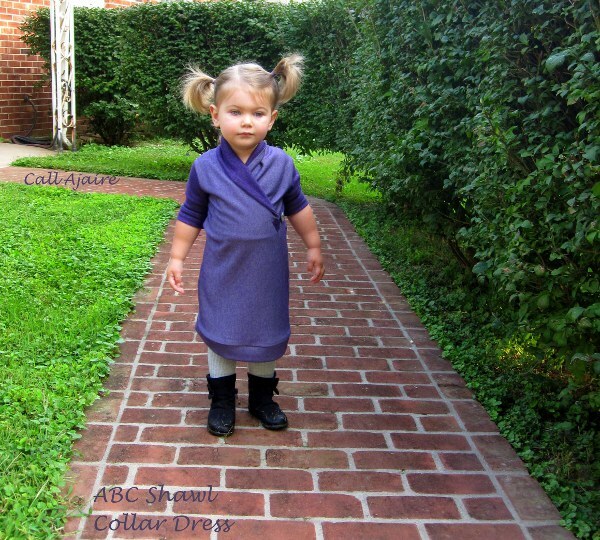 The fabric is a purple knit from JoAnn Fabrics. As I was cutting into the right side of the fabric, I realized that I liked the “wrong” side a bit better so I used the wrong side for all the main pieces and the right side for the color blocking accent pieces and collar. Now I can’t wait for the cooler weather to come so Bean can wear this cozy dress! Thank you to Emily and Ashley for a lovely series that I’ve been enjoying both from the sidelines and now as a competitor. Also, a big thank you to Shwin Designs for an amazing pattern. I made one of the girl style vests from the pattern and it’s pretty much the cutest thing ever and only took an hour to make. One more thing, if you sign up (*affiliate link) for the Newsletter for Go To Patterns they occasionally will send a free pattern along in the email. Here’s a hint: November’s newsletter is one of those times, hehe.